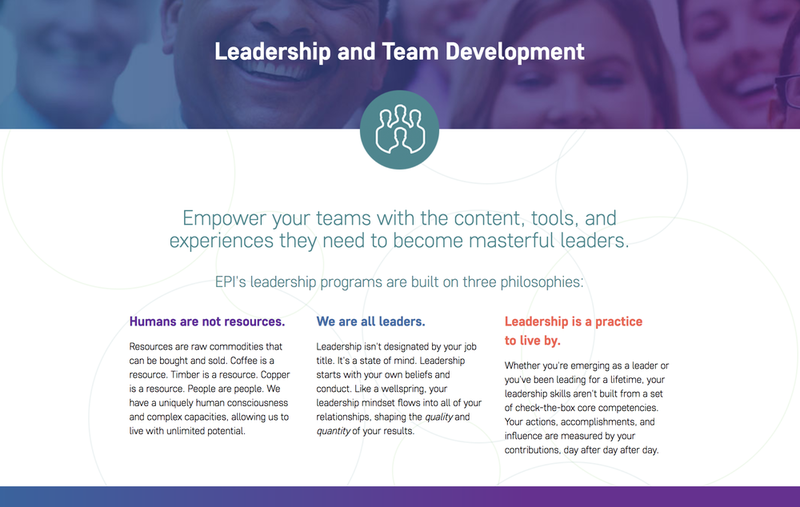 While leading EPI through a successful brand identity redux and updating their web presence, I uncovered an opportunity to better position their flagship leadership and team development program. 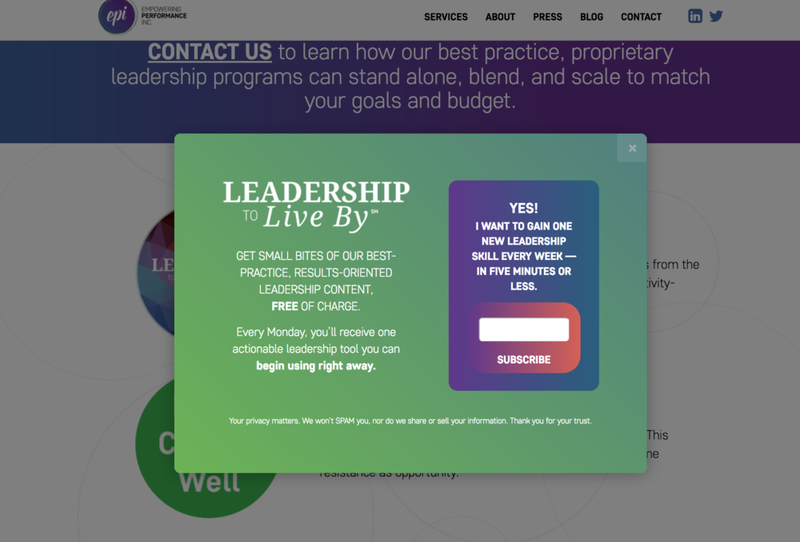 Build one new leadership skill every week in 5 minutes or less. I strategized then researched and authored a year-long micro-learning and "Leadership to Live By"promotional campaign. Users could opt-in via the website, or program participants could opt in during and after their training programs. Emails opened with pin-able, shareable, and memorable headline, followed by a few educational paragraphs to flesh out some context for the headline and drive a relevant call to action. Every call to action was instructionally designed to be quick ("Take 5 minutes") and do-able, yet significant enough for participants to shift in mindsets and behaviors .